Is Bumblebee already buzzing ahead toward a follow-up film? A new report by Deadline says so. Tucked into an exclusive piece announcing that the Transformers prequel pic had passed $400 million at the global box office, earning $401.3 million as of January 19, was the tidbit that Paramount Pictures is reportedly developing a sequel to Bumblebee as we speak. Rumor has it that the follow-up could be a "buddy movie" centered on Bumblebee and Optimus Prime, given that the two Autobots reunited at the end of Bumblebee and were seen in a mid-credits scene witnessing the arrival of several other Transformers who were ripping their way toward Earth to establish the new Autobot base. The outlet offered no other details on the potential project, though it did provide a statement from Bumblebee producer Lorenzo Di Bonaventura, who opened up about Paramount's goals for the film and how that could inform where the franchise will go from here. "We had many objectives [including] to bring a new set of families into the series, and that succeeded; in the after markets that will continue to succeed in a big way. Part of our obligation was to bring people back who had left the franchise or never experienced it which worked well," said Di Bonaventura. "We are finding our way. Our intention was we wanted to please the core fans but also bring a new audience." Though Bumblebee didn't shatter any records or crush its theatrical competition to a bloody pulp like some may have anticipated, Bumblebee is being heralded by critics as the best Transformers movie of all time — bringing a "sense of wonder back to a bloated blockbuster franchise" and setting up "its own slate of sequels in the bargain" — and has found a new legion of fans. Director Michael Bay's Transformers installments, though fun to watch if you're in the mood for a popcorn flick that attacks your senses with explosions and CGI-heavy action sequences, didn't exactly align with the feel of the original Hasbro property — but Bumblebee did. Travis Knight, who wrote and directed Bumblebee, set the series back on course in choosing to dial everything (the story, the action, the special effects) back and offering a softer, more intimate, more relatable story between a robot (Bumblebee) and a girl (Charlie, played by Hailee Steinfield) sparking an unlikely friendship and teaming up to save the world from the vicious Decepticons. That considered, it only seems right that a sequel is in store. Knight once mentioned that there's enough space between the end of Bumblebee and the start of the Bay-backed Transformers franchise for an additional film to fall. 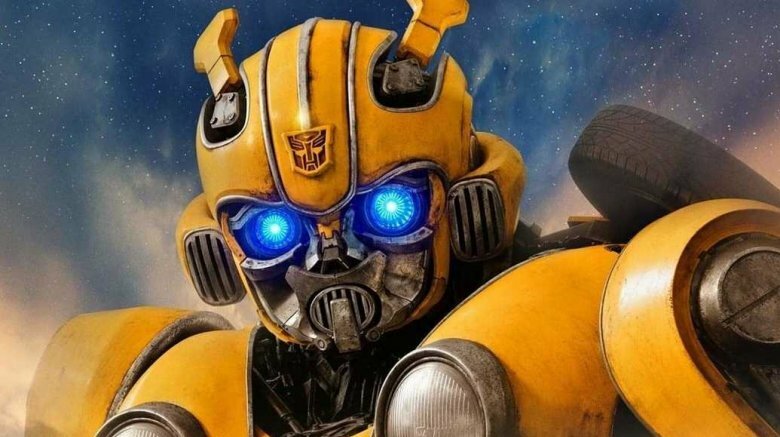 He also shared that he has plenty of ideas for a Bumblebee sequel, telling CinemaBlend, "When I get to the end of one of my movies, I always imagine what's next for the characters. And so, in my mind, I've got all these scenarios and adventures that play out, both with Charlie and with Bee and everyone else. We'll see if the world wants more. Maybe we'll explore some of those things." Additionally, Steinfeld is confident that Charlie's story isn't completely over yet, and that a second Bumblebee movie could definitely include more of her. "I think she's still capable of so much and we see that throughout the course of this film and we see how much growth takes place in such a short period of time that by the end of the film, you know, even though she's overcome so much … I still feel she's got so much to say, a lot more to learn and a long way to go," the actress said in early January. "So I would be interested in exploring that." Even John Cena, who portrayed the baddie-turned-somewhat-goodie Agent Jack Burns in Bumblebee, is 100-percent down for a sequel and would love to play a part in it. "I hope so," he told CinemaBlend's Dirk Libbey when asked if his character would return for a second Bumblebee movie. "I really enjoyed working with Travis, but I love the movie and it looks like it's going to make a lot of money too, so hopefully we'll be able to do it again … The one thing I'd like to see is that it be just as good of a story. I think if I get too involved with what I'm doing rather than what the movie is doing, the movie suffers. I think as long as the movie reads as good as Bumblebee then we'll be off to a good start." Prior to Bumblebee opening in theaters in late December 2018, Di Bonaventura told Entertainment Weekly that if audiences turned out for Bumblebee and that if the film proved profitable, a sequel is a guarantee. As for what it might entail, which characters would return, and which Autobot(s) it might focus on, the possibilities are endless. "If Bee's successful, we can have a Bee 2, no doubt. We have a good sense of where a second movie would go. For me, the greatest thing that came out of the writer's room was the sense that we could go in any number of directions. It opened up our minds to choices," he said. "We could do a time travel movie. You could take almost any genre and do it. You can go back in the past, you can go to the future. So I think we've got an abundance of choices. It's really more about narrowing them down than anything else, and deciding which one we think is the strongest one to go with next." That the director and the cast are down to do a second Bumblebee movie and that the producer has essentially confirmed that it will happen at some point adds legitimacy to the claim that a sequel is already underway. What's even better is that Bumblebee scribe Christina Hodson has said she knows "exactly" what she wants to do with a sequel. "I don't know if we're gonna do it — we've got to see if audiences go and see this movie. But I know where I want to go with the next one," she told Variety. It seems it's only a matter of time before Paramount makes an official announcement regarding the potential Bumblebee sequel. Being big Transformers fans here, we will keep you in the loop on future updates as they happen.